Waterfall Resort Alaska is known the world over for the astounding number of king and silver salmon, halibut, lingcod, and other sport fish reeled in by our guests year after year. But why is the fishing so good at Waterfall Resort? One reason is that we have an unparalleled one-to-one staff-to-guest ratio, and the sole aim of our crew of 90-plus—which includes our expert U.S. Coast Guard licensed fishing guides—is to see that you have the best ever Alaska sport-fishing adventure, from arrival to departure. But there’s another huge reason why our fishing is so good. That’s our storied location on Prince of Wales Island on Prince of Wales Island’s western shore, an ideal habitat for millions of bait fish that draw the annual returns of Southeast Alaska’s mighty king and silver salmon. These seasonal runs inspired pioneering fishermen who, back in 1912, established our forebearer, the record-setting Waterfall Cannery. 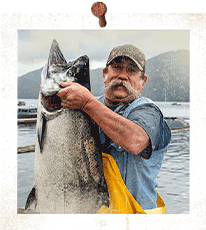 Building on that legacy, the cannery was turned into a remote fishing lodge in 1973. The Waterfall Group that manages Waterfall Resort Alaska formed in 1980, when our investment partners purchased and repositioned this historic property as a full-service resort. Ken Dole assumed the role of president and managing partner in 1985. 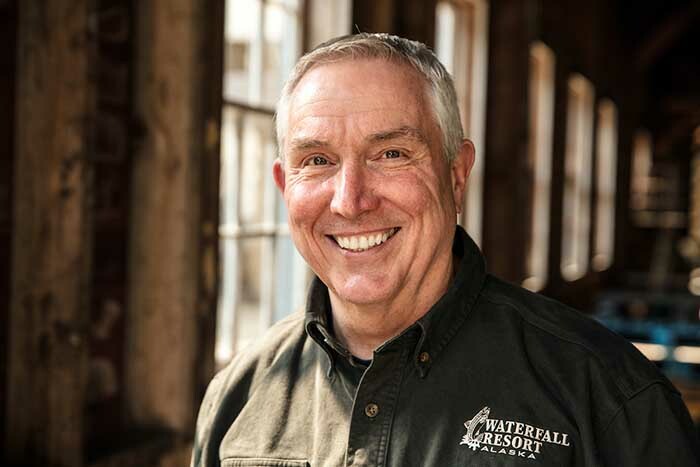 Today, operating in the restored cannery buildings, we host nearly 2,000 guests each season and, to date, Waterfall Resort has welcomed more than 65,000 anglers from around the world. Leaders in adventure hospitality, the Waterfall Group operates, markets, and supports multiple lines of business nationally, from Alaska fishing lodges to floatplane tours in the Florida Keys. My golf buddy told me about this place, but you know how fish stories go.... Well, he did not stretch this one!